Urge the United Nations to give girls in Malawi the tools they need to achieve goals. Young girls in the African country of Malawi face tremendous adversity when it comes to achieving personal autonomy. It's widely accepted in Malawi that girls belong in the home, performing household duties and taking care of the family. They are not presented with many opportunities to excel in education or professional development. It's imperative that all women in the world are given the chance to succeed in whatever profession or pathway they choose. We need to implement programs that give girls the tools they need to accomplish their goals. Sign the petition asking the United Nations to implement programs and educational curricula in Malawi that promote female participation and success. Now more than ever, it's crucial that we present women with the opportunities and assistance they need to succeed. Girls in Malawi are currently encouraged to stay at home, perform daily chores, take care of the family and largely remain tied to domestic responsibilities. This is not the way our society advances. If we want to see the well-being of the human race advance, we need to provide women with the same opportunities to excel as we do men. Doing so will open the door for unforeseen societal advancements and solutions to global problems. 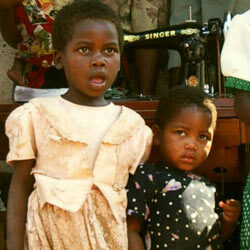 Please do your part to see that women in Malawi are given more opportunities to pursue their goals and dreams. If you do, we will only see a positive outcome. That's 6,260 signatures! Let's keep the ball rolling.